This piece appeared on VICE in October 2014. The end is nigh folks, and annihilation of the planet is going to be every bit as fiery and painful as you might expect. But have you heard the good news? After all the death, destruction and downed internet connections, exactly 144,000 faithful Christians will shoot up to Heaven, while anyone else who died faithful to God will be resurrected onto an earthly paradise, where everything is perfect and nobody starts wars or takes the piss out of each other’s haircuts. This, in a nutshell, is what Jehovah’s Witnesses believe. 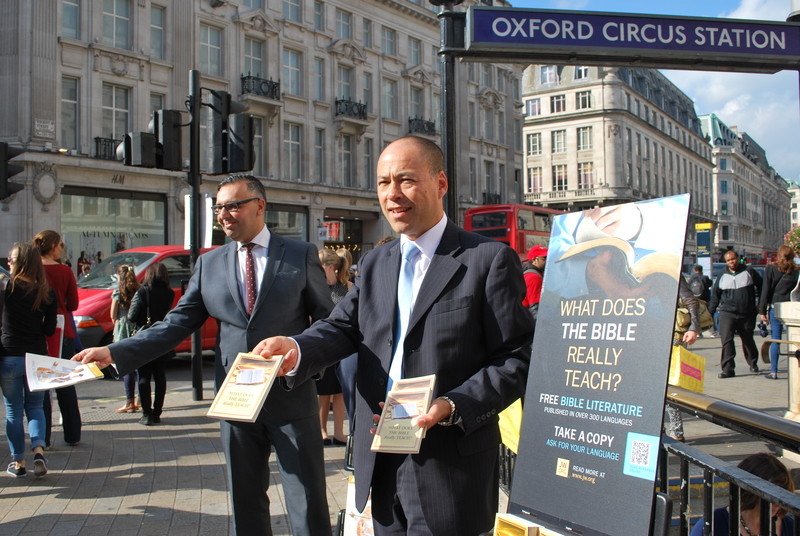 I know because I was curious about the smartly-dressed people handing out magazines at Oxford Circus tube station and asked them what they were about. “It’s all Bible-based,” I was told by a nice lady dressed in grey. Yet the two magazines I’m given – The Watchtower and Awake! – are a curious mixture of stress-coping strategies, advice on reducing diabetes risks and some weird, Jehovah-specific theology about Satan’s bad angels causing “the dramatic increase in wickedness and violence since 1914”. Deep Singh and Bruce Young – two volunteer coordinators of the London magazine drive – are happy to go for a coffee to explain some more.